In this quick tutorial I will show you how to use "vertex to particle" operator in thinkingParticles, to simulate animated ribbon (or cloth) wrapping around any geometry. 2. 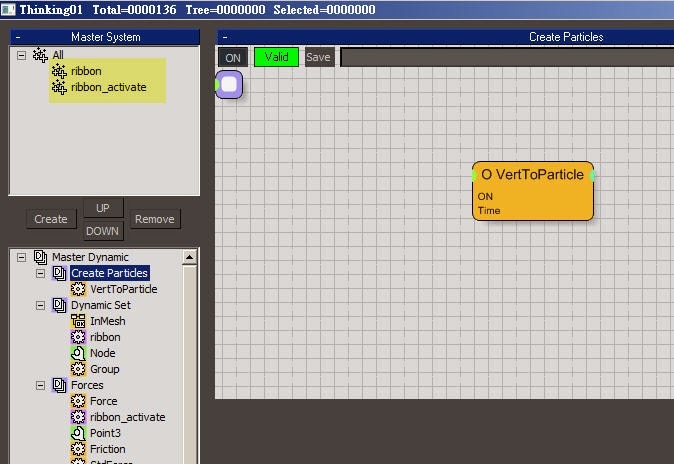 Vertex to Particle will generate particles base on selected object (in this case is the ribbon mesh), and those particles will control the movement of ribbon, acting as joints (or spring), so the ribbon mesh can act like cloth. 3. InMesh operator will control which region of particles (on the ribbon) to be activated. Once they are "in mesh", will transfer to "ribbon_activate" group. 4. Once particles are in "ribbon_activate" group, we can apply all kind of force on it. For example a vortex force. 5. 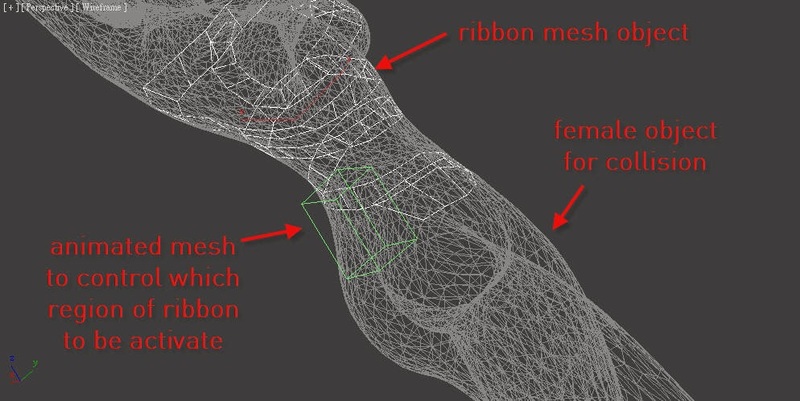 Select the female mesh as source of Deflector, so the ribbon can collide with female body. 6. On top of the ribbon mesh, you can add "turbosmooth" or "shell" modifier to make ribbon more realistic. That's it!